Ex-MilitaryCareers.com are pleased to serve Ex-Military servicemen and women in addition to their spouses. Whether it’s been twenty years or only six months, every military spouse has those moments when you realise that the military has kind-of-sort-of taken over your life. No matter how hard you fight it, no matter how much you resist it, the military sneaks into your relationship. Your worldview. 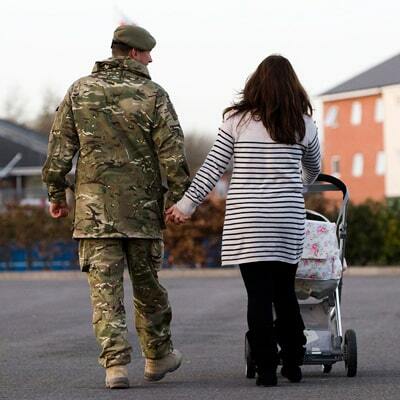 We offer the same service, support and guidance as any ex-serving member of our armed forces. With over 10,000 potential careers available. An inherent problem with the resume of a military spouse is that it may be a fairly lengthy document, given that frequent changes in duty station mean many different employers listed. While this may raise a red flag for employers by suggesting that a candidate cannot successfully maintain a position - it can be described as an asset for the military spouse. From employment advice to Courses everything we do is specifically geared to bringing the best out of you. Join us on our social media and stay connected with thousands of Ex-Military personnel. Your CV is safe with us. Unlike many job boards or recruitment companies, we do not give database access to any unaffiliated business, government, corporation or any other entity.